Hi y'all! It's finally here! 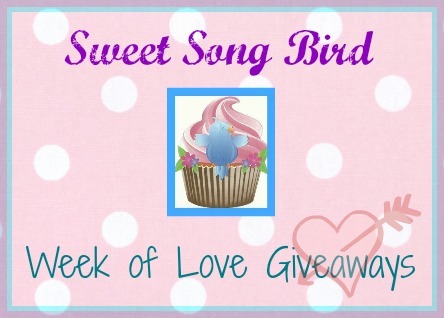 My week of LOVE to y'all!!! First up, is one of my FAVORITE people EVER, as well as the artist behind some of the most incredible pieces I've ever seen (and owned), Ms. Creative Carmella! Her blog is pretty neat too! I'm lucky enough to own many pieces from her incredible line, and I pretty much wear one of her pieces each day of the week. Something some of you might not know about her, she can turn necklaces into coats. Go read her story when you're done here, it will touch your heart as it did mine. As for the giveaway, I think the below piece is VERY appropriate for this blog, right?! I asked her to give you a little blurb of what she does and why! Now, the rules for the giveaway. Please enter below via Rafflecopter, and one winner will be chosen at random by Rafflecopter. The winner will then be notified via email and the name will also be visible here in THIS post. Please respond to the email (vendor) with your information within 48 hours of the announcement, or else someone else will be chosen. It is up to YOU to contact the vendor (Carmella) to claim your prize. You can earn entries by following the instructions in Rafflecopter, some are optional extra entries, some are mandatory. You MUST comment below to qualify at all. What can you comment? Well just give Ms. Carmella a little shout out or thanks for this awesome prize she so graciously offered, yes? Thank you and good luck! CONGRATULATIONS JACKIE P! You WON! Thank you for providing such a beautiful necklace for the giveaway! Such a cute necklace! 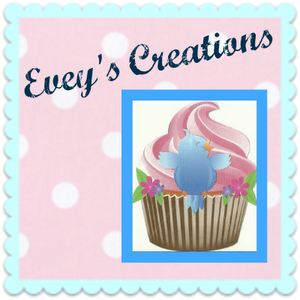 Wonderful giveaway, Evey. 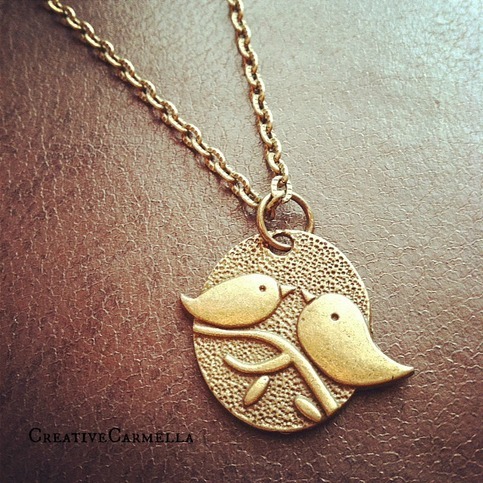 This necklace is adorable! Thanks for the giveaway! My cousin her mother and my cousins 2 babies were in a head on collision 2 weeks ago. She lost ER mother and 3 year old daughter. I would love to give this to her with te 2 birds. It's beautiful. Love it! Thank you for this giveaway opportunity!! I love this necklace! I would be THRILLED to win! love all of Carmella's stuff! 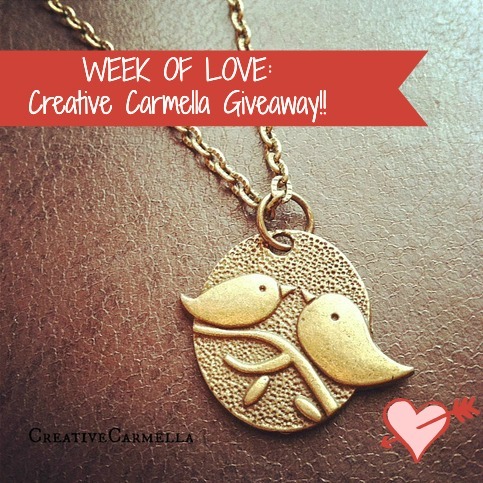 so excited to be part of this contest....i love the necklace! !